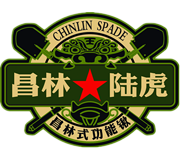 TAIGU CHANGLIN SHOVEL CO., LTD. was established in 2007, and the registered capital is RMB10,000,000. The forerunner of our company is established by Mr. Wang Changlin in 1973, who got the national patent no. ZL2009 20180806.X for the folding function shovel. Now we are the leading professional manufacturer majored in all kinds of Military Muti Function Shovel, Garden Shovel etc. which are widely used in Military, Outdoor, Camping, Garden, Traveling,Emergency Resume and Disaster Relief etc. we have the professional R&D design team and the advanced production line including the molding, hot treatment, spraying, assembling, Packing etc. Our company is certified by ISO9001 and our products are all with the CE certificate, now we are the national high technology enterprise with 27 national patent certificates, and our brand “CHANGLIN” is popular in both inland and international market. Our company is located in the old economic town named Taigu city, Shanxi province, China. Which was called “ the wall street of the east” in history. Shanxi businessmen have been famous for our honest management since ancient times. CHANGLIN is a name you can depend on for quality service for your requirement, we offer the same friendly professionalism to everyone contact us, no matter for job. Out purpose is CHANGLIN—BORN FOR YOU!